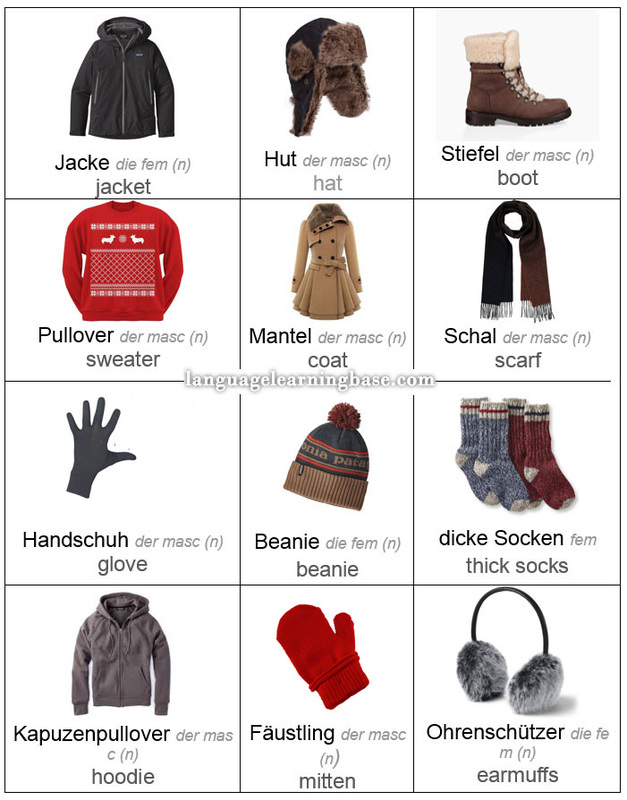 German Vocabulary for Winter Clothes. Talking About Your Winter Holiday Plans in German. Talking About Your Winter Holiday Plans in German.